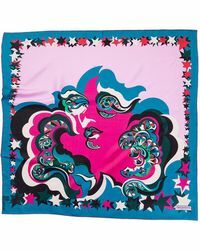 Italian-born designer Emilio Pucci earned worldwide acclaim during the 50s when one of his ski suit designs appeared in an issue of Harper's Bazaar. 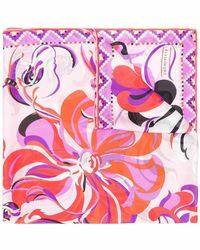 Sine then, the Italian brand has become synonymous with glamor, kaleidoscopic colour and eye-catching pattern. 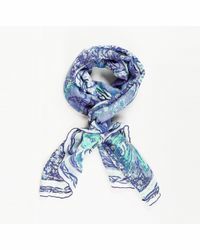 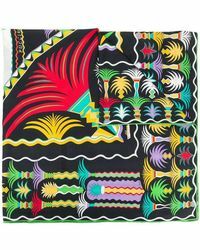 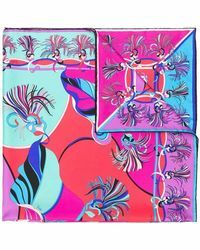 An Emilio Pucci scarf stays true to this signature aesthetic, so choose from luxurious silk neckerchiefs in quirky, colourful designs, capri printed wrap styles and printed twill bow ties. 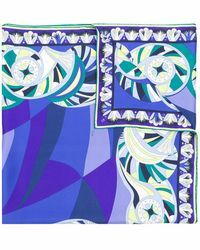 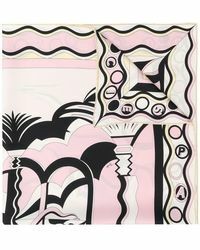 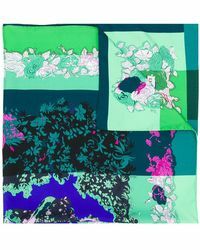 Showing 939 results for "Women's Emilio Pucci Scarves"